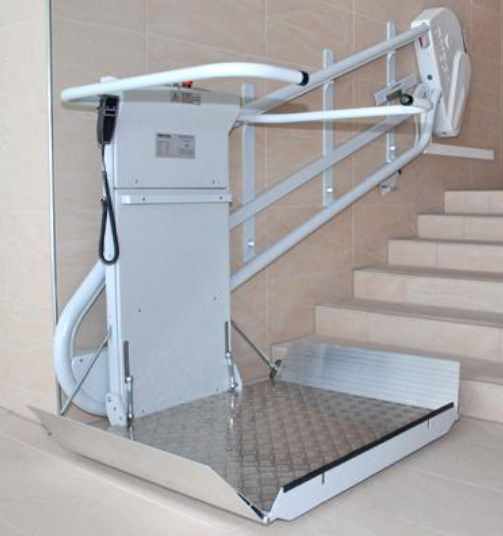 The OMEGA platform lift gives wheelchair users or mobility impaired persons the possibility to overcome staircases or steep ramps without the assistance of an attendant. 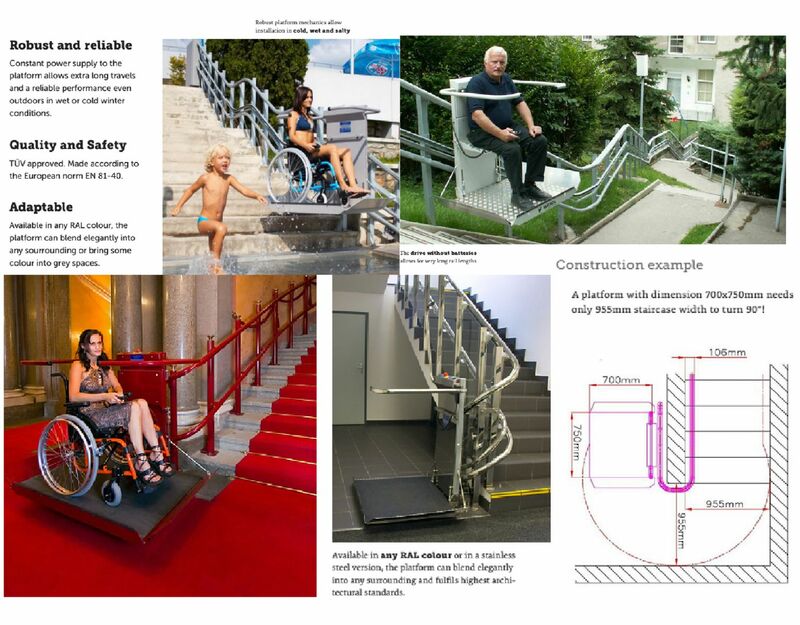 It is designed for access over stairs with multiple levels, curves or intermediate landings. 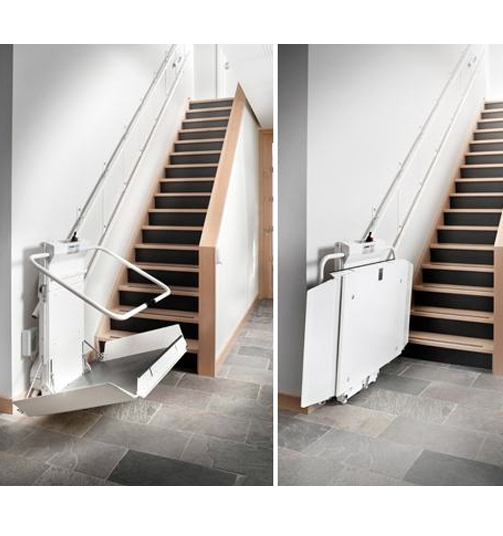 As an alternative to an elevator or a vertical platform lift, the Omega requires no structural changes to the staircase. 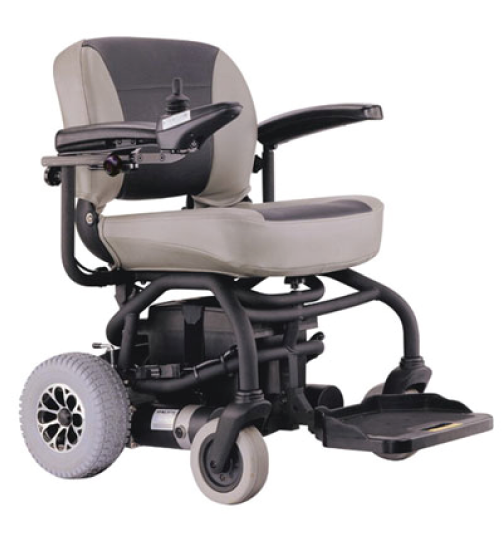 When the platform is folded, the OMEGA is the narrowest stairlift on the market, leaving maximum clearance on the staircase! Because of the compact construction, the installation is possible at almost all staircases. 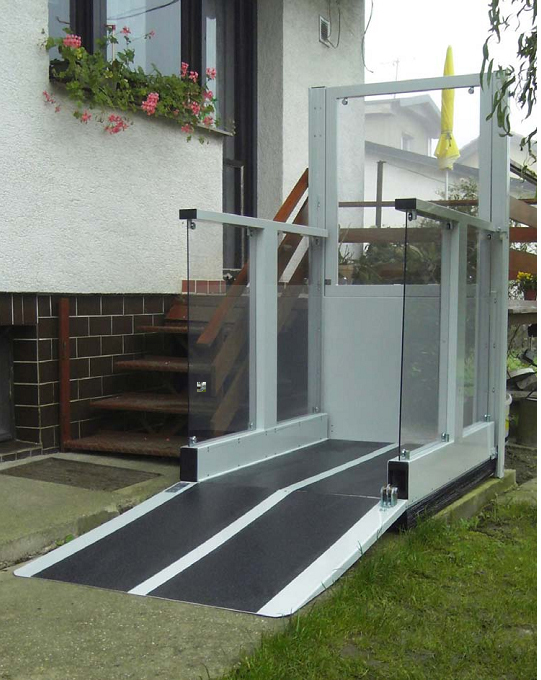 Indoors or outdoors - the lift gently integrates into every surrounding area. Whether for private or public uses, straight or curved staircases, the Omega is a synonym for mobility and quality of life.